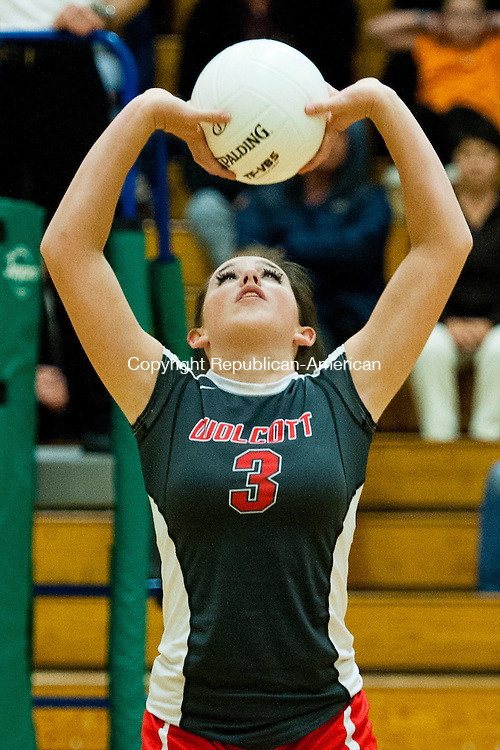 WATERBURY, CT - 29 October 2013-102913EC08-- Wolcott's Jenna Skerritt sets the ball. Woodland swept Wolcott, 3-0, Tuesday night at Wilby High School in Waterbury. Erin Covey Republican American.